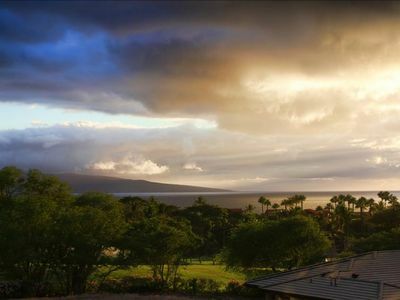 Wailea, a planned community, is the most beautiful area on the island, noted for its sunny weather, breathtaking beaches, golf courses, tennis, shopping and restaurants. 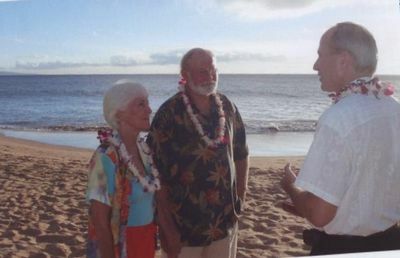 Wailea has a lovely beach side path which is a great place for a morning jog or a sunset stroll. 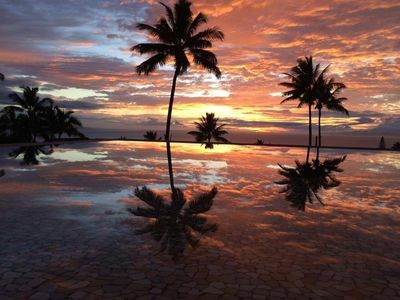 It is truly a premiere vacation destination. 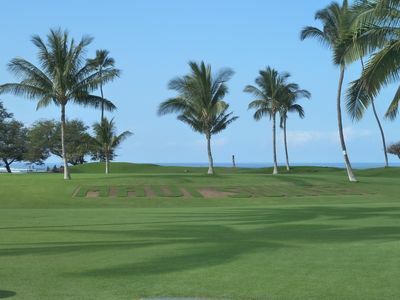 The Palms at Wailea is a unique complex of two-story, stucco buildings with 150 units centered by a clubhouse with a saltwater pool and Jacuzzi that have stunning sunset views. 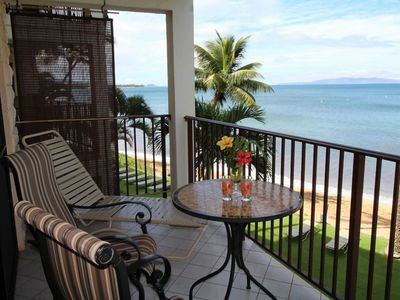 The outstanding Keawakapu Beach is a leisurely half mile walk or a quick drive from the Palms. 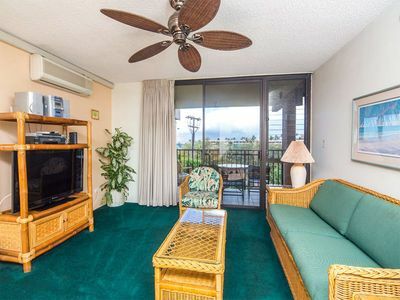 Our spacious ground floor condo (1022 square feet plus 473 square feet of lanai) is located on the coveted inner circle with its lovely landscaping of palms, flowering ginger and hibiscus. The L-shaped lanai has a garden view with the beauty of a pond and babbling brook and is tiled with Italian porcelain tile. 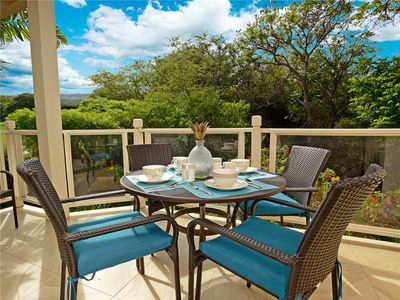 This unit is most desirable for its proximity to the pool and has a level entry, just steps from your designated parking place. 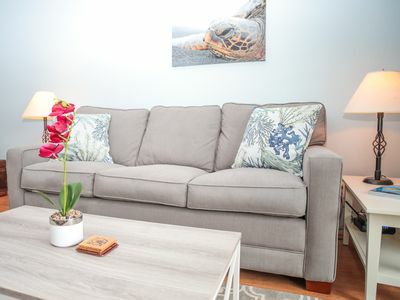 Our modern, updated condo provides a relaxing, soothing atmosphere. 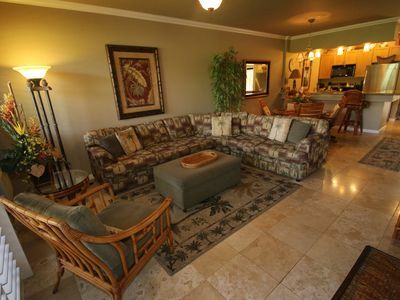 It is decorated in an elegant, Hawaiian style with comfortable furniture, newer bathrooms and lovely artwork. There is air conditioning in the living room as well as the bedroom. 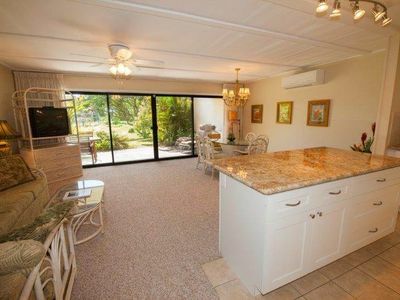 There is a Sealy Posturpedic Cal-King bed with Tommy Bahama bedding in the master, queen convertible sofa in living room, two full baths, a fully equipped kitchen with a Cusinart coffeemaker, Braun coffee bean grinder, four slice toaster and an Oster Blender for those relaxing tropical drinks. 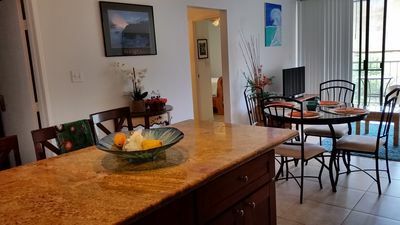 The condo has two TVs(a 40 inch flat screen LCD in living room), DVD player, free calls to U.S. and Canada, free high speed internet in the unit with WiFi. 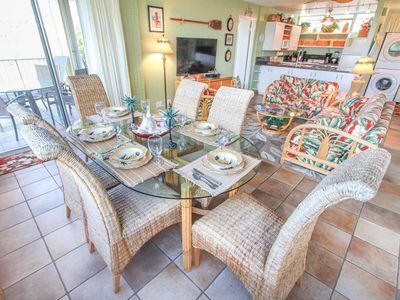 There are easy to carry Tommy Bahama beach chairs, a matching Tommy Bahama umbrella, plenty of beach towels, beach tote bag, small cooler and two adult boogie boards. 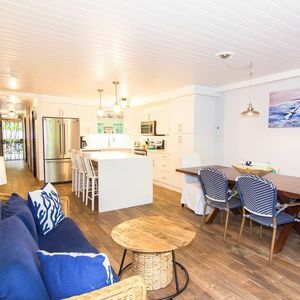 The covered lanai, which can be accessed from both the living room and bedroom, has abundant outdoor furniture: a dining set, a sitting area with love seat, chairs and a coffee table, two lounge chairs all with Sunbrella cushions. There is a Weber gas BBQ. Enjoy outdoor eating with the convenience of a direct pass-thru from the kitchen. 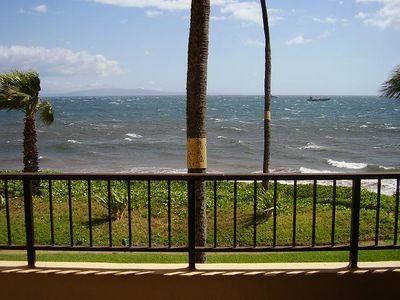 We retired to Maui in 2013 and reside in South Kihei, minutes from the condo. 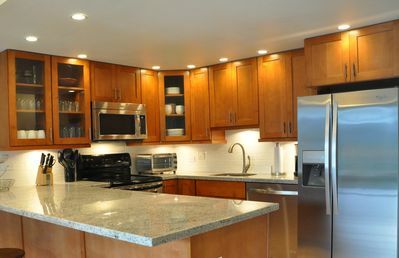 We are available to assist you, just call or text us. As owners, we have a General Tax License. The number is: W-02957650-01. 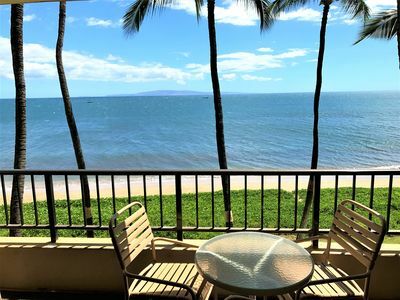 Very Best Deluxe Ocean View...Panoramic View....First Class!! 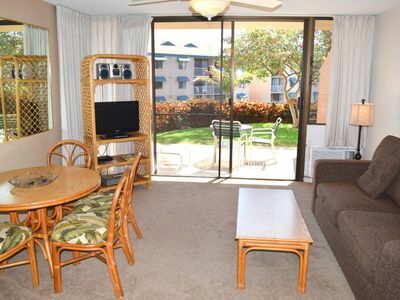 2BR/2BA Wailea condo with Special Price! 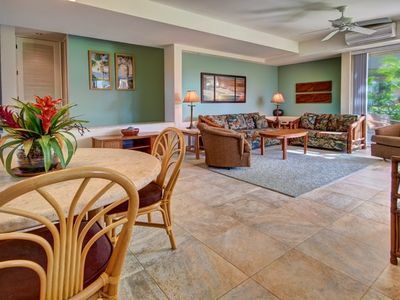 Spectacular two bedroom, two bath condo, HALEAKALA SHORES, #B-201, across from beach.